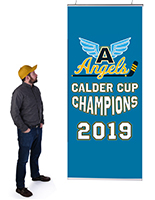 This is a patented, economical, and dependable way to hang banners and posters. 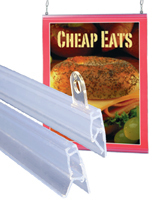 If you need a system for quick-changing signage easily this may be what you are looking for. Made for images 30" in width, the length is only limited by the amount of headroom left in the store. I need something for a 30x36 Poster. The poster frames were like over a $100 dollars. I found these on a google search and they are just perfect. They hold the poster perfect and it looks professional enough for what I need. Better than using thumb tacks. I would recommend this product if you want a great display option and are cost wise. Oh and the price, well it was definitely a big savings! We're so happy you found us, Marie! Thanks for the great review! 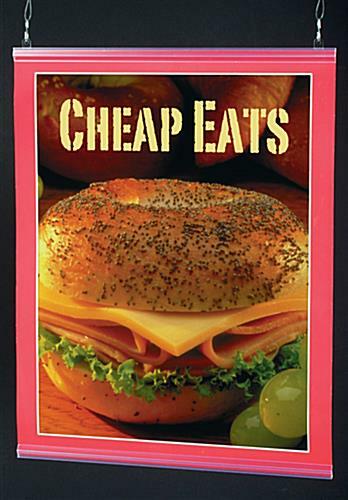 This was perfect and at least $10 less than competitors. Will certainly order more in the future. In running a bookstore we are always on the search for ways to merchandise our products. The 30" Banner Rails have been just the answer to helping us advertise the books we want to feature. They are easy to assemble and simple to use. They are our "find" of the year. 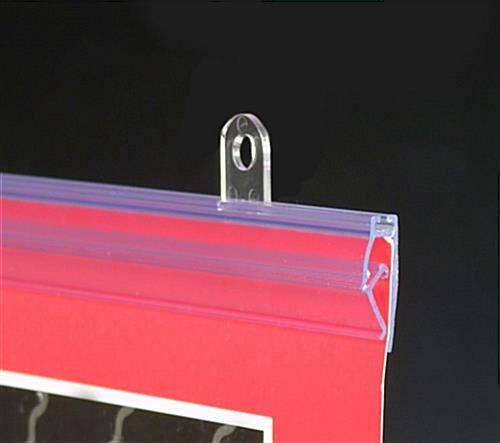 These plastic hanging banner rails are great for hanging scientific posters of all sizes. 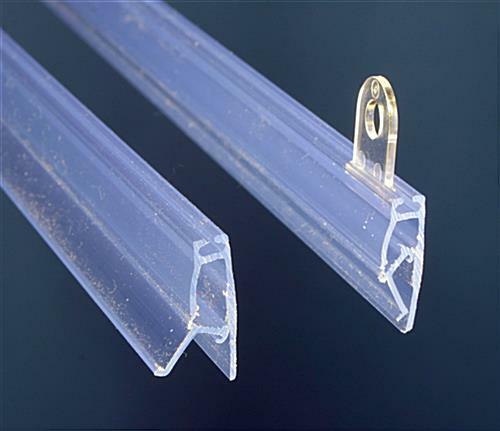 They come in pre-cut lengths but these plastic rails also can be hand trimmed to a custom length with heavy duty shears (used for cutting vinyl siding) found at most hardware tool stores. They ship in pairs with two eyelet tabs, and more tabs can be ordered in bags of 100 count. 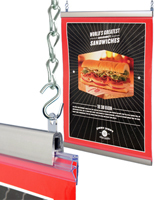 The paired lower rail provides enough counter weight for hanger a paper poster evenly. But the lower rail is identical to the upper rail that comes with the eyelets already slid on. If you get the extra eyelets you can slide them onto the upper or lower rail for additional anchoring points. These rails do not damage the poster either. Thanks for the review, Armand! Looks like it's working great for you. We appreciate your feedback. Thanks for the review! Exactly what I'd like them for, as well, but wasn't sure it would hold that thickness. Posted 2 years ago by Barbara D.